Channel 5 has reported record profits and turnover following its takeover by US media giant Viacom. In its first consecutive years of profitability in its near 20-year history, for the 12 months to 30th September 2016, the broadcaster recorded an operating profit of £58.4 million against £14.9 million for the previous financial year. Turnover increased 19 per cent year-on-year to £383.6 million against £322.7 million in 2015. Channel 5 Broadcasting retained a profit after tax and extraordinary items of £42.3 million against £36.5 million in the previous financial year. Channel 5’s family of channels grew its share of total TV viewing in the UK in the year to 30 September 2016, gaining 2 per cent to record a 6.13 per cent share. It enjoyed particularly strong portfolio growth amongst younger audiences with a 9 per cent increase in share of viewing amongst 16 to 34-year-olds, reflecting a dynamic performance by 5Star, which had its best-ever year with young audiences (+32 per cent year-on-year) and Spike in its first full year on air. Channel 5’s rebranded My5 catch-up and on-demand TV player delivered an 18 per cent year-on-year increase in streams during the financial year. The My5 brand was rolled out on to linear TV earlier in the year, replacing the former Channel 5+24 channel. 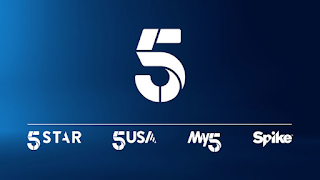 Additionally, Channel 5 signed carriage deals with Virgin, allowing cable subscribers to access Spike for the first time, and Channel 5 HD went free-to-air on Freeview and Freesat. This followed the launch of a whole new look to the channel in February. Returnable popular factual series continue to form the backbone of Channel 5’s schedule, with new ratings hits such as The Yorkshire Vet and Eamonn and Ruth: How the Other Half Lives joining established favourites including: Ben Fogle: New Lives In The Wild, Can’t Pay? We’ll Take It Away and GPs: Behind Closed Doors. Channel 5 has also returned to original comedy and entertainment and enjoyed critical acclaim with mockumentary Borderline and its highest entertainment ratings in recent years with a UK version of Viacom’s Lip Sync Battle. Channel 5 also continued to build on its reputation for history with Henry VIII and His Six Wives and natural history with Loch Lomond: A Year in the Wild. The X-Files delivered the highest ratings for drama in the channel’s history, while Celebrity Big Brother equalled its highest ever share of viewing amongst 16-34s during its run in January 2016. The channel has previously drawn criticism for relying too much on benefit themed documentaries. Viacom completed the relocation of Channel 5 to its refurbished Camden campus (the former TV-am site) in October 2016. Last week, Channel 5's news programmes returned to their original home at ITN on Gray's Inn Road. On 30th March 2017, Channel 5 will have been on-air for 20 years.